If you have gone down either Olive or Prast this week, you will have noticed work beginning on our roof. 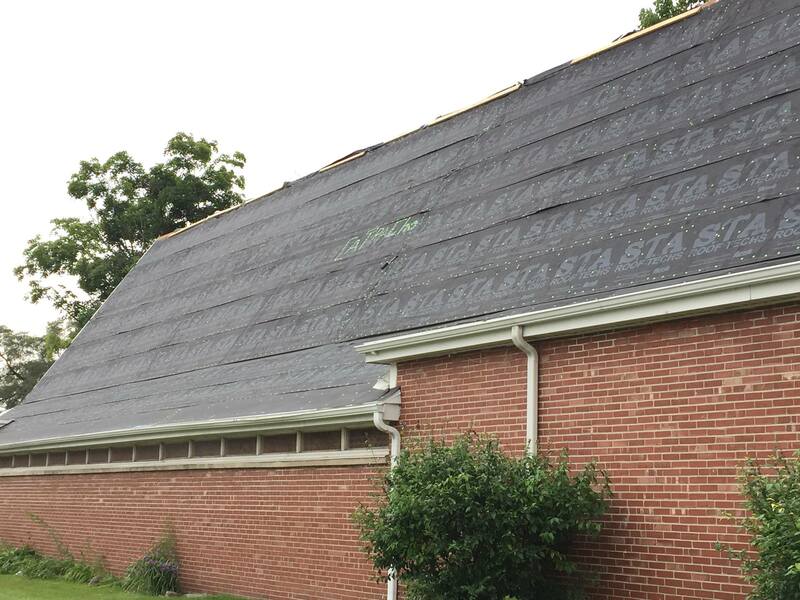 Thanks to John Zanka’s dilligence and the premiums we have been paying over the years to the Church Insurance Company of Vermont, we will be getting the roof replaced on both the church and the parish hall at essentially no (additional) expense to ourselves. 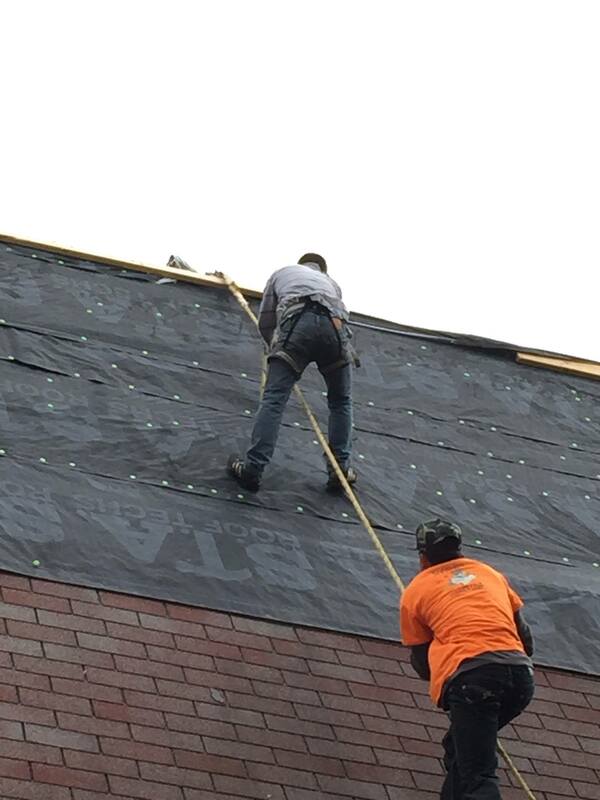 I stood around watching the crew at work the other day (yes, I was the sidewalk supervisor—one of the perks of being a priest), so I can tell you that the way they rappel up and down that steep roof is really amazing! Where have all the shingles gone. . .long time passing? Friends with better eyes than mine noticed that there is a word—catracho—nail gunned into the tar paper covering on the Olive Street side of the church. They looked it up (yes, they are quite as geeky as I am—that’s why we are friends! ), and tell me that it is a word that means “Honduran Immigrant” or “son of a Honduran immigrant.” How appropriate that the rood of a church built for Hungarian Immigrants should be replaced by Honduran immigrants! If you zoom into the picture I took to show that the old shingles were gone for the church building (1 day’s work—these guys are fast!) you can see the word there. The Urban Dictionary assures me that the term is not derogatory and that it can apply to things like music and food as well as to people. 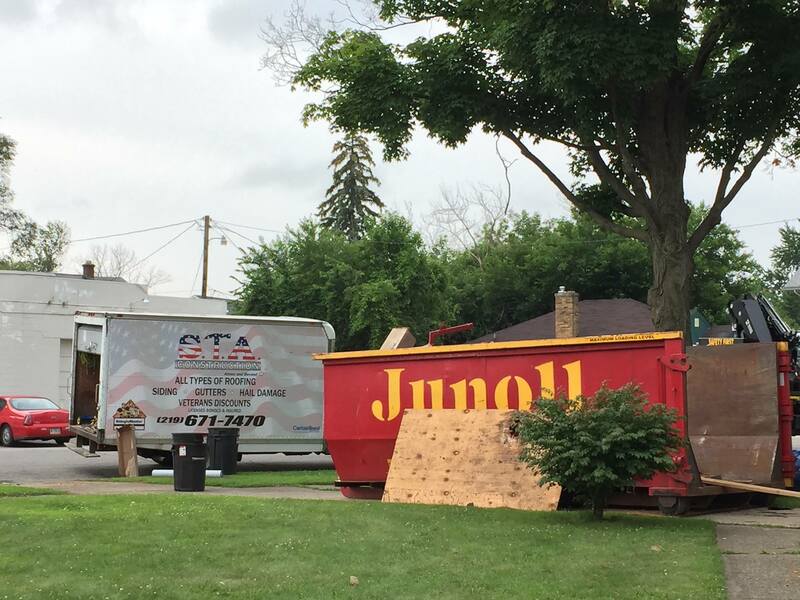 When you arrive for church on Sunday, you will notice a big red dumpster in front of the front doors—I assure you that we are still open for business! There’s another one around the back, and though they are doing a great job of cleaning up after each day’s work, I advise you not to be walking barefoot through the grass for a few weeks! This entry was posted in This Week at Holy Trinity, Uncategorized and tagged Honduran Immigrants, Hungarian Immigrants, Insurance, roof.